SS Rajamouli's Baahubali : The Conclusion is three weeks away for its theatrical release. The film, a sequel to the 2015 blockbuster Baahubali : The Beginning stars Prabhas, Rana Daggubati, Anushka Shetty and Tamannaah Bhatia in lead roles. Baahubali 2 stars Prabhas in dual roles as father-son duo Amarendra Baahubali and Mahendra Baahubali alias Shivudu. 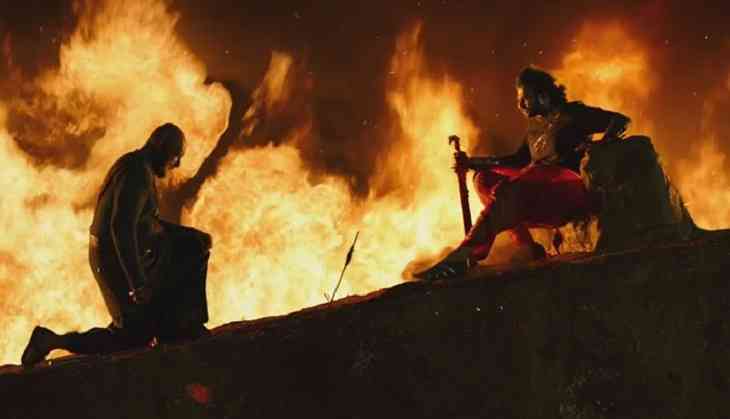 Baahubali 2 is set to release in 315 screens in Kerala, which is huge considering that none of the Malayalam films has crossed the 300 screens mark yet at the Kerala Box Office. Only the Rajinikanth blockbuster Kabali (306) has managed to touch that mark so far across the Kerala. With such a huge release, Baahubali 2 is set to become the biggest release ever in Kerala. Baahubali 2 also stars veteran actors Sathyaraj, Nassar, Ramya Krishnan and Rohini in supporting roles. The music of the film has been composed by MM.Keeravani. Baahubali 2 is slated to release on 28 April in Telugu, Tamil, Hindi and Malayalam languages simultaneously.